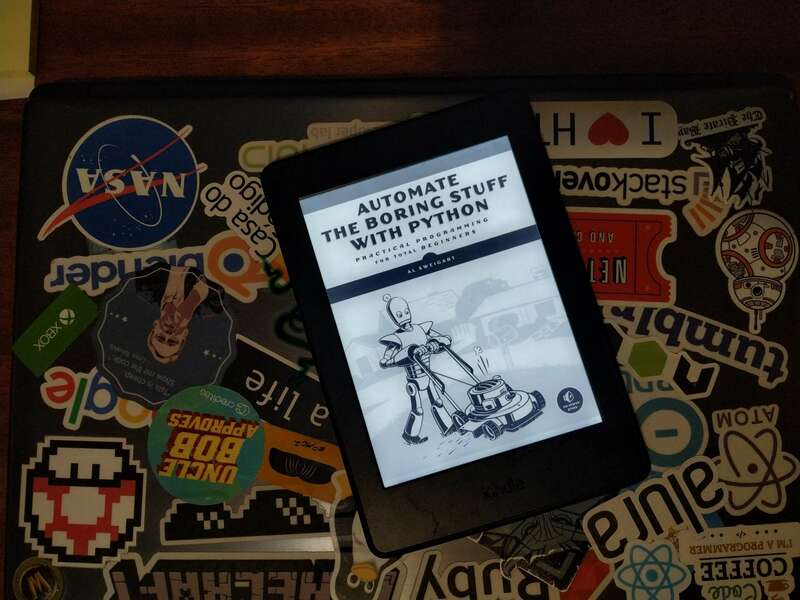 A few weeks ago I finished reading “Automate the boring stuff with Python” from Al Sweigart, on this review I’ll try to make a good review of the book and talk about the main chapters. It’s a book recommended for novices, for me, it’s a good book for beginners, but for people who already know how to program in other dynamic and interpreted programming language, I think is not necessary to read this book, go ahead an read something more advanced. TL;DR: If you know how to program in another interpreted programming language like Ruby, go ahead and read something more advanced, if you are a beginner, start with this book, it’s a very good book to start coding. And much more, I think every experienced programmer knows nostarch very well because they have a lot of famous and good books, if you are a beginner, you can trust them. I didn’t have the physical edition of this book, I’ve read the digital edition on my Kindle Paperwhite, read technical books on digital readers is always it’s always a fear because some books don’t look good at the small screens, especially the code snippets, but this was not the problem of this book, I think large publishers like nostarch or O’Reilly you’ll never going to have this problem. The physical edition I think should be excellent too, because I have other books from nostarch and no one disappointed me. The only bad thing on this book is that this is a simple book for people that already know how to program, but this is not a problem because the book doesn’t say that is something advanced, but even for who already knows how to program, the second part with practical projects can be very good. This is my first book review and I’ll try to get better on the next review posts, I’ll try to review every technical book that I read.